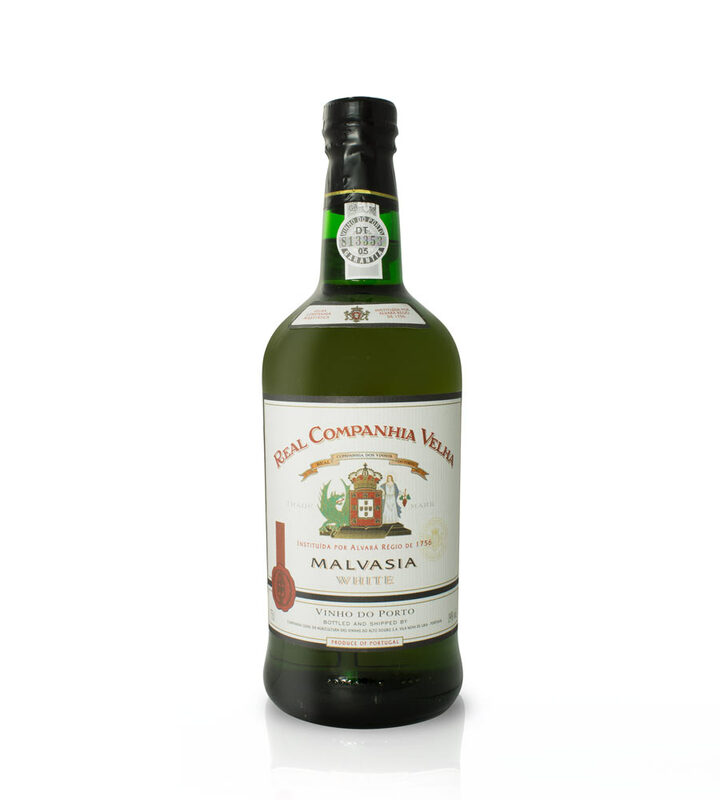 The Real Companhia Velha Malvasia Port expresses the splenderous character of White Port. 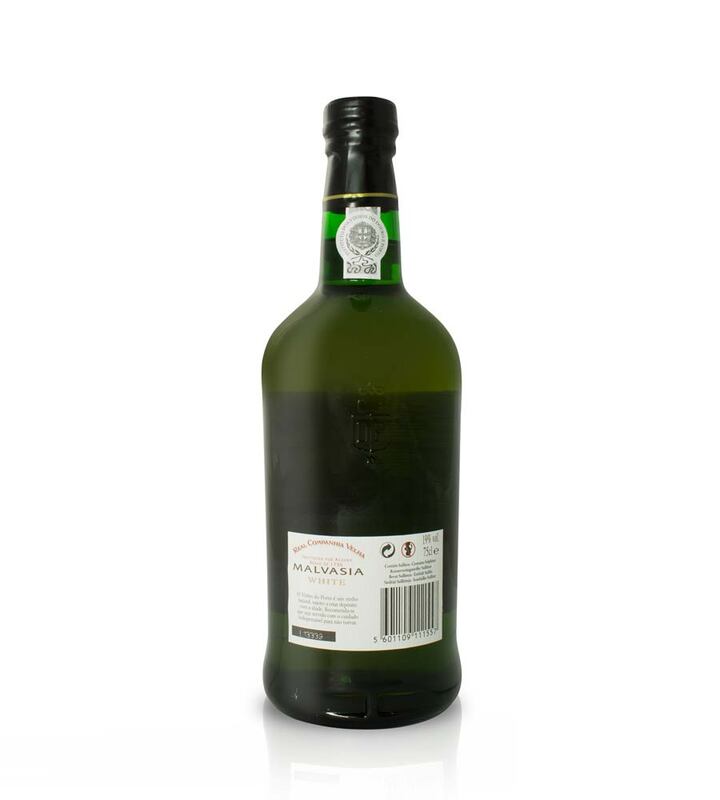 It ages in old oak vats for a period of 3 years, revealing itself mature and sweet, with a golden colour and characterized for its fruity, balanced notes. 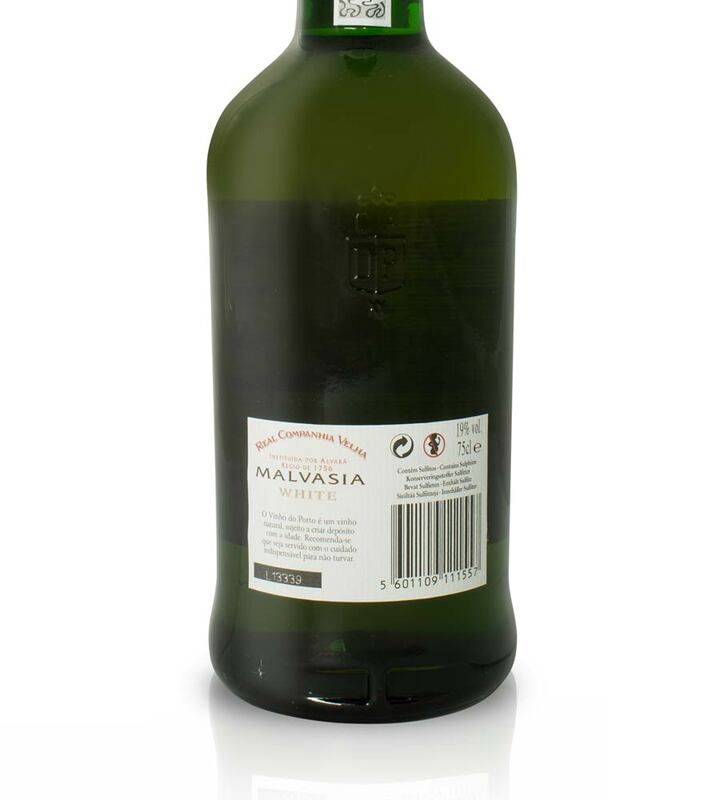 This Malvasia Port is produced from a blend of indigenous white Douro varieties in which the Malvasia Fina has a dominating position. It is traditionally served as an aperitif, or as a partner for Foie Gras and pastry.